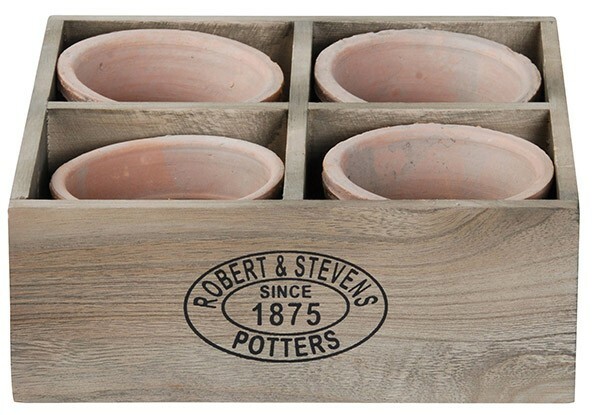 Hand made terra cotta article, with a pressed logo "Robert Stevens & Potters, Since 1875." Not frost-resistant. 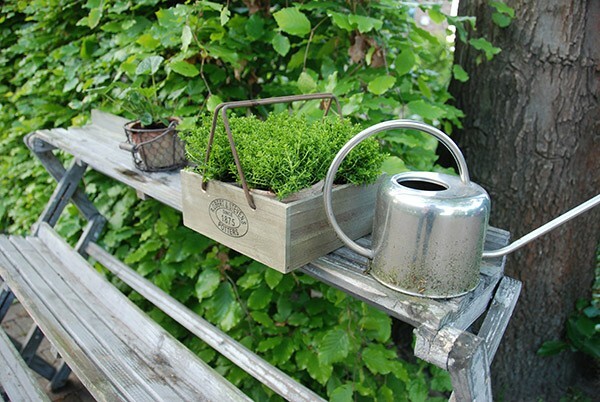 Volume per pot: 0.3 Liter.